Dr Jengo's World: Play-Asia offering 5% off everything for PayPal Customers! Play-Asia offering 5% off everything for PayPal Customers! 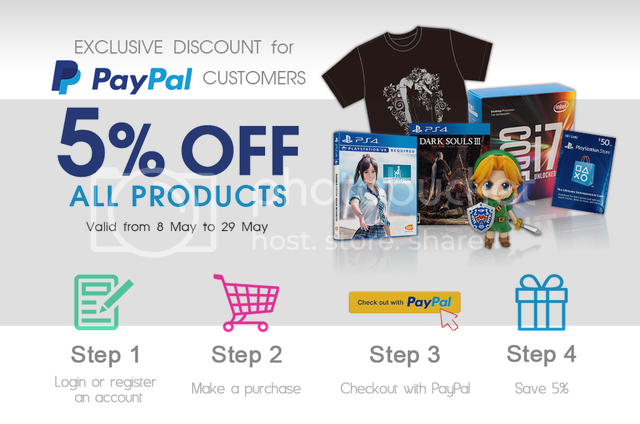 Play-Asia is offering 5% off all their items if you checkout using PayPal from now till 29 May! Check out some of my recommended deals for this week below! Plus many more awesome stuff on the site, some of which you can see on the right of this page. Just keep scrolling down!